When it comes to rescue, BCSAR members are trained to work on land, water, and in the air. Our Air Ops program includes both crew chiefs, who ride with the pilot, and rescue techs who may “dangle” below the helicopter to perform a rescue. With the many bodies of water in our county, we have members who can operate our various watercraft. They are all Swift Water Rescue Techs with about 30% of our team holding that certification. Just a few of our members respond as divers for DART (Drowning Accident Response Team). 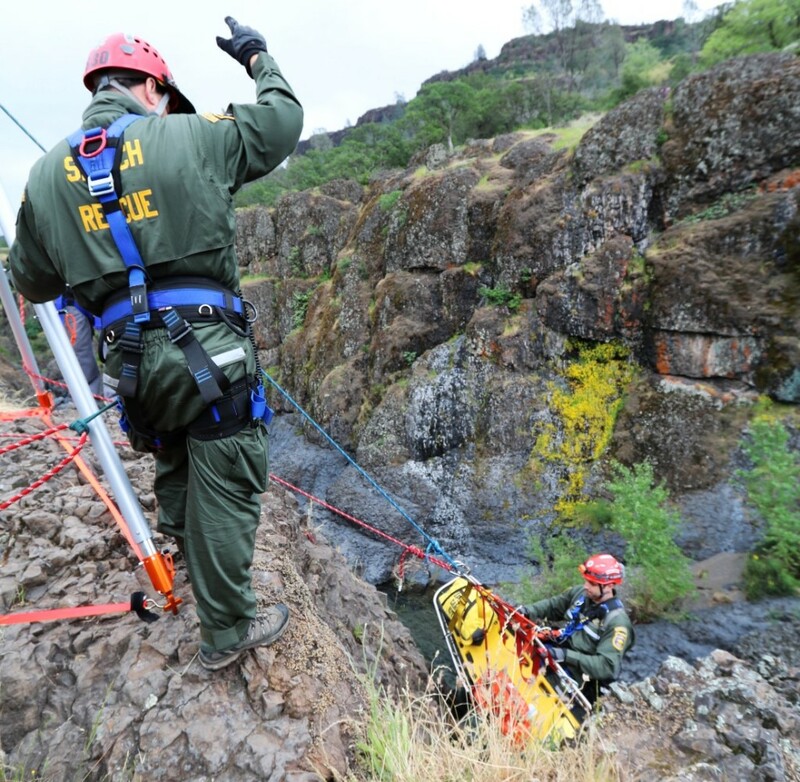 When a hiker falls down a slope or gets standed on a ledge, or a vehicle goes into a canyon, the Over-the-Edge team is trained to respond. This group routinely works with other agencies in the county who also respond for these rescues.